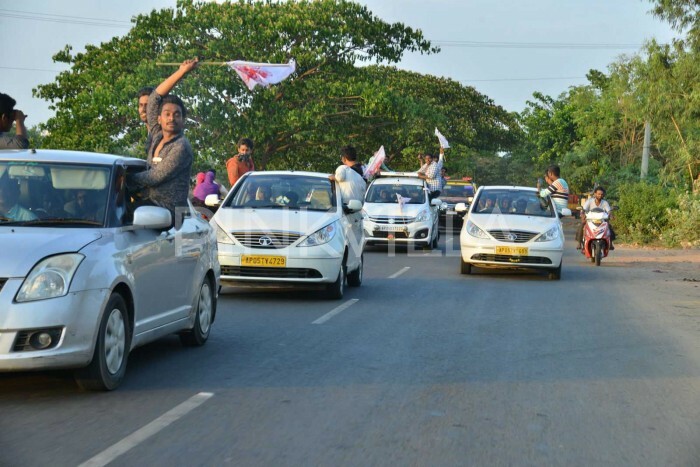 Allu Arjun drove down from the airport to the venue of the audio launch and a convoy of cars with fans were escorting Allu Arjun. 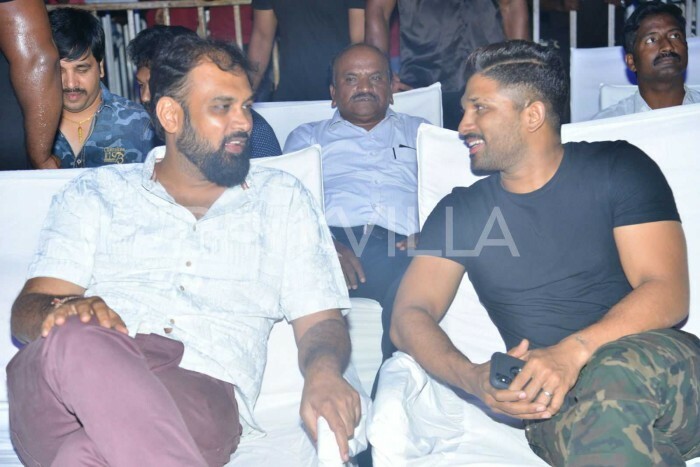 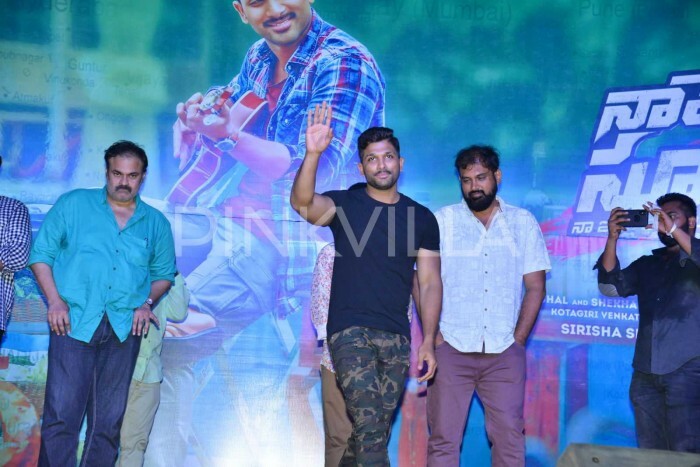 The audio launch of Allu Arjun starrer Naa Peru Surya was held at a town called Military Madhavaram in West Godavari district of Andhra Pradesh. 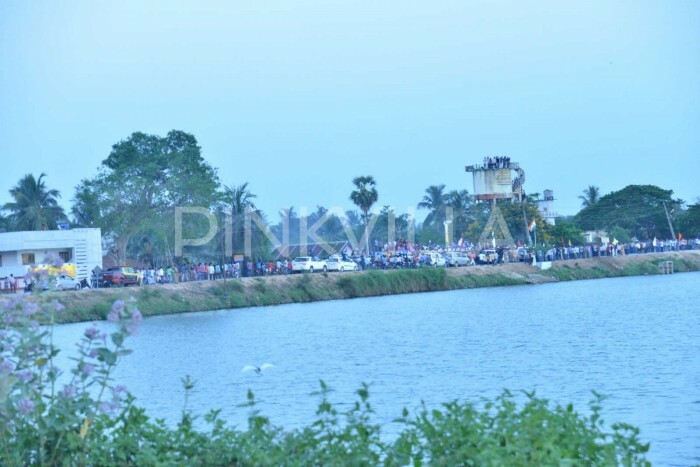 The town is popular for one reason – one member from every family living in the town has joined the armed forces. 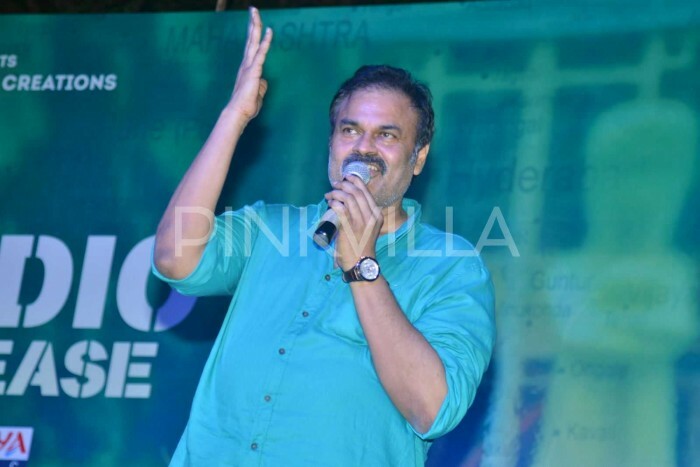 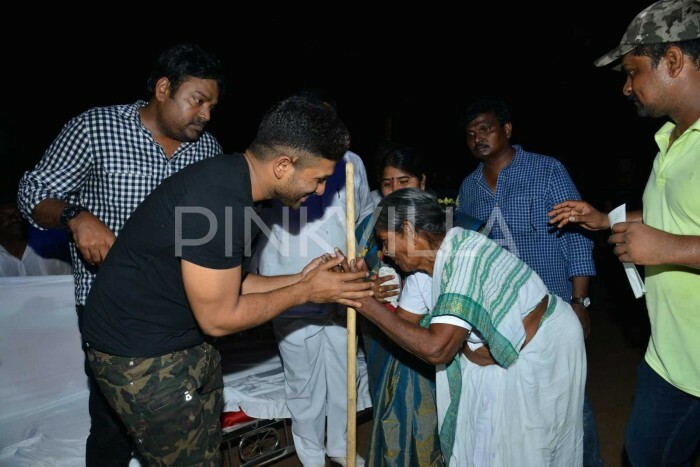 And the makers of Naa Peru Surya wanted to pay a tribute to the families residing in that town by hosting the event. 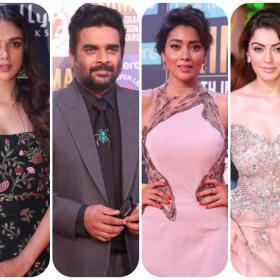 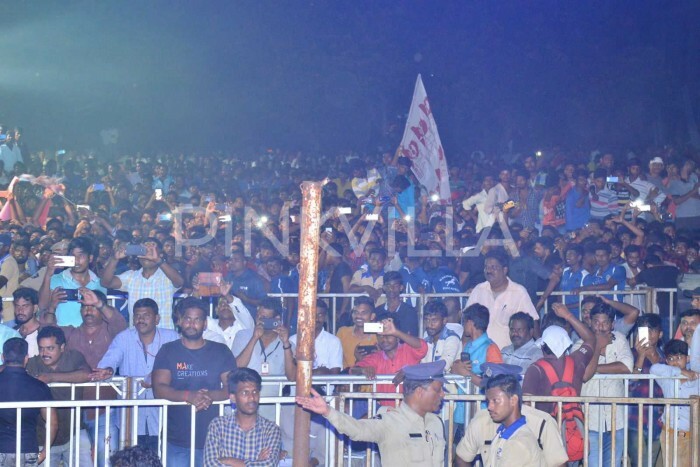 Fans of the stylish star thronged the venue in lacs and the venue of the audio launch of Naa Peru Surya was filled with without any space left. 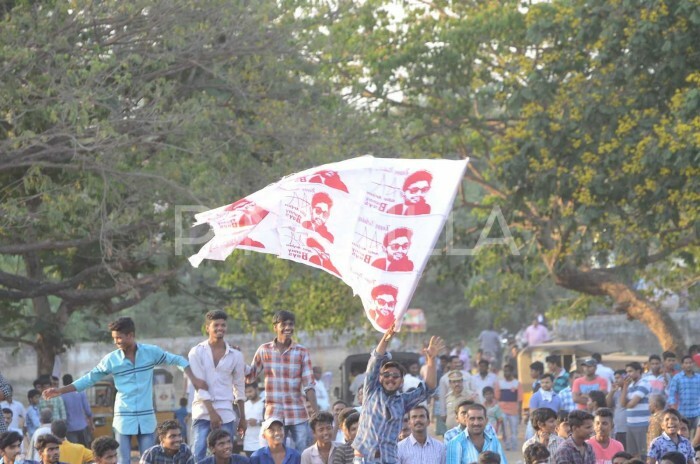 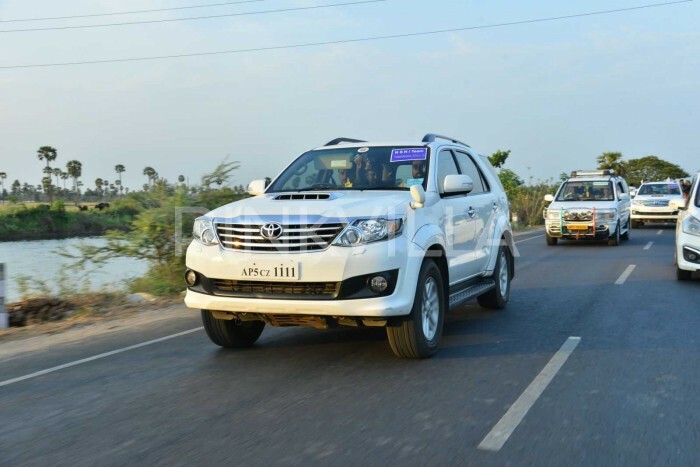 Lead actor Allu Arjun drove down from the airport to the venue of the audio launch and a convoy of cars with fans were escorting Allu Arjun.